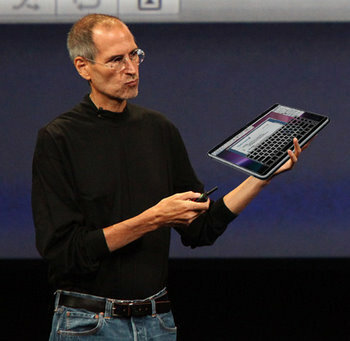 Will we have an official Apple Tablet announcement at the super secret Apple press conference? The Apple Tablet has been the talk of the town in tech circles, and people have been speculating the release of an Apple Tablet for well over a year now. Well tomorrow may be the day that everyone’s been waiting for. Although Apple will not disclose what will be announced tomorrow at the press conference, everyone is expecting to hear only 2 words: Apple Tablet! So stay tuned and let’s see what happens tomorrow at the press conference – will we actually get the much anticipated Apple Tablet announcement?